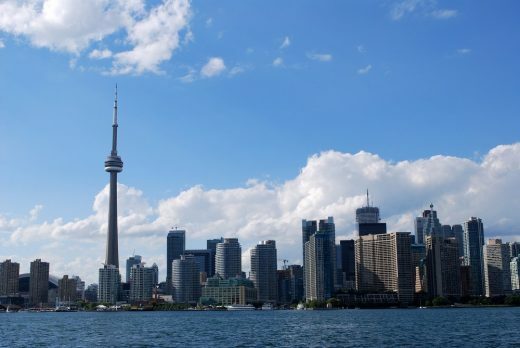 Toronto, set on the shore of Lake Ontario, is an exciting and bustling city that is filled with impressive skyscrapers, a patchwork of neighbourhoods and a myriad of cultural diversity. 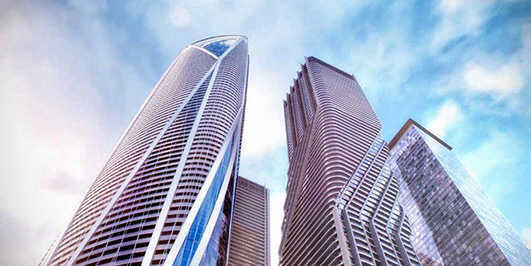 Anyone who’s ever been to Toronto cannot miss the the unusual and stunning architecture dominating the city’s skyline. As the financial capital of Canada, and the political capital of Ontario, the growth of the city owes its expansion to its geography and location. Due to the fact that it sits between the Toronto ravine system and Greenbelt, there is a protected area of green space, forests, wetlands and forests throughout the city. And, as a result, the city has been able to give many of its natural resources to builders such as shale and brick. 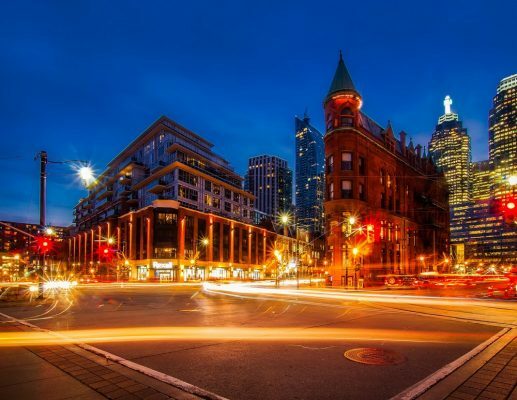 With the drastic growth of the city has come a similar increase and evolvement in Toronto’s architecture, influenced by both its history and culture. 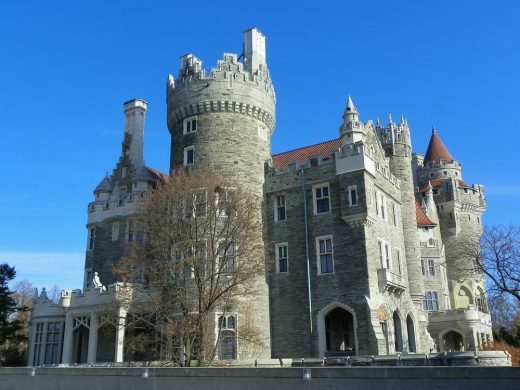 Originally, Toronto was a peripheral city that embraced new and different styles, but with several different stages in its architectural life, the city has bore witness to a huge range of exciting and different architectural styles ranging from Georgian, Victorian, Edwardian and modern influences. So how exactly has Toronto’s architecture evolved? During the early industrial era, Toronto’s original architecture was mainly factory and industrial buildings which meant constructing clusters in the Victorian style. Coming into the Georgian era, detached and semi-detached homes were built. The earliest of these were built around 1800 and remained popular in Canada for far longer than in the USA, and can still be found in wealthier areas of the city. The cities annex style of property was introduced during the Victorian era. These were the first townhouses in Toronto and you can still find them in certain neighbourhoods. Post the Second World War, however, came the conversion of these beautiful houses. 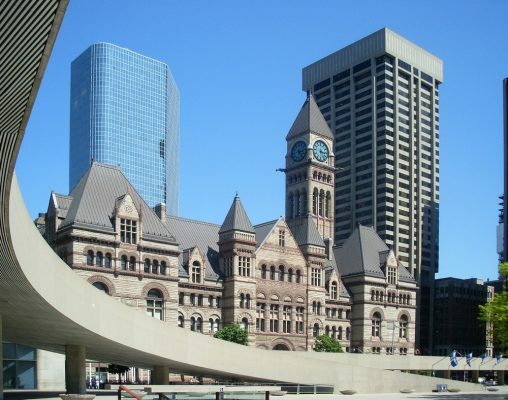 At the end of the industrial era, Toronto grew its financial wings and became a commercial hub. 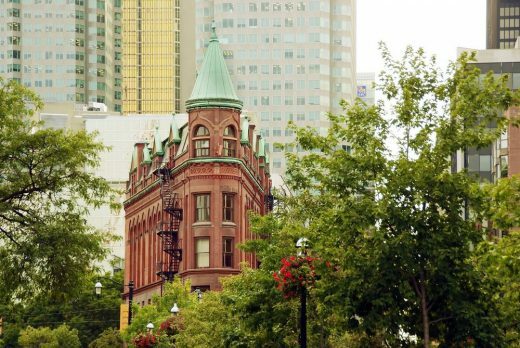 Of course with this change, came modernisation and the birth of multi-residential architecture, alongside impressive business buildings such as the Canadian Imperial Bank of Commerce. During the 1950s, the old Victorian mansions were converted into student or immigrant housing; some were even demolished and substituted by apartment buildings. Come the 1970s, factories disappeared weekly and were replaced by modern developments. 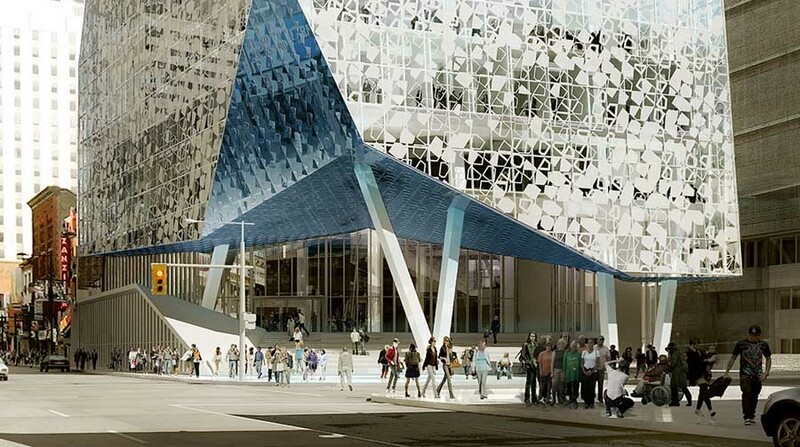 This brings us to today’s contemporary architecture of Toronto. Recently, the city has become the centre of development activity in many different cultural sectors. 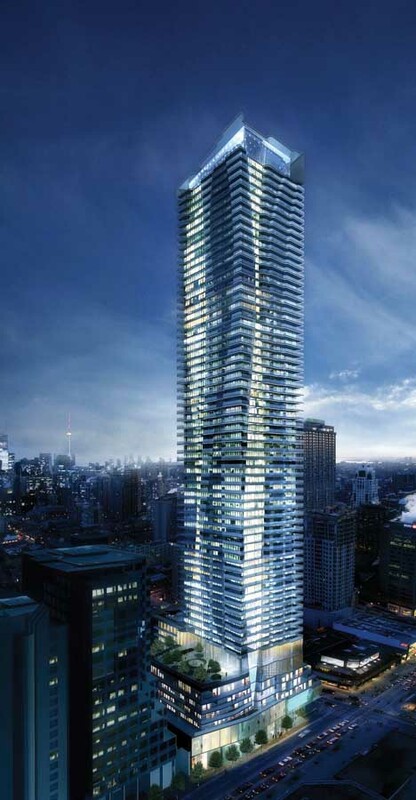 Most prominent on the architectural scene is Toronto-born architect, Frank Gehry who has created intricate and sculptural glass towers on King Street West, and has been predicted to take the Toronto architecture scene by storm. Toronto is currently hiring international architects to bring a new global vibrancy and excitement to the city, working on all scales: residential, commercial and institutional. 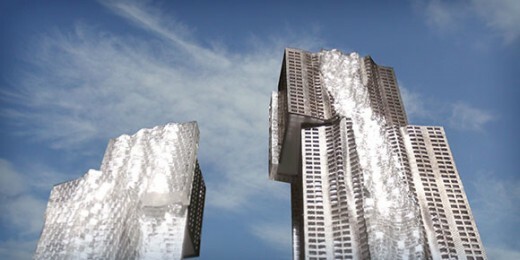 The Toronto skyline is an ever-changing one, and always on the cutting edge of architectural design. 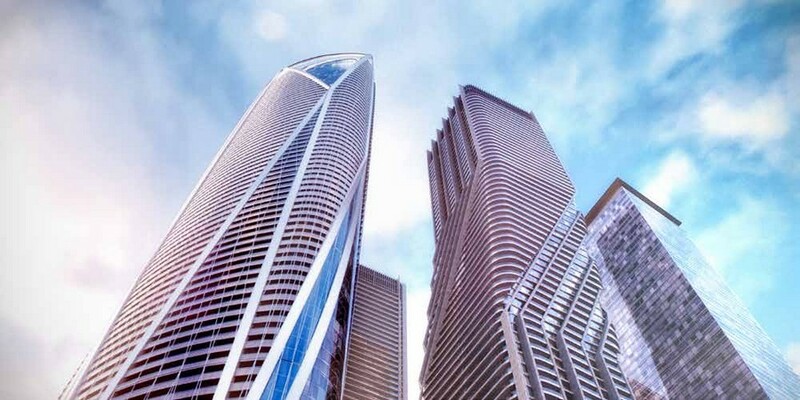 So, watch this space and see the rise of more of those incredible skyscrapers! October 25, 2017 in Toronto.